Alana Thompson’s father Sugar Bear has had emergency surgery to treat an infection on a leg wound after he was involved in an accident last week. 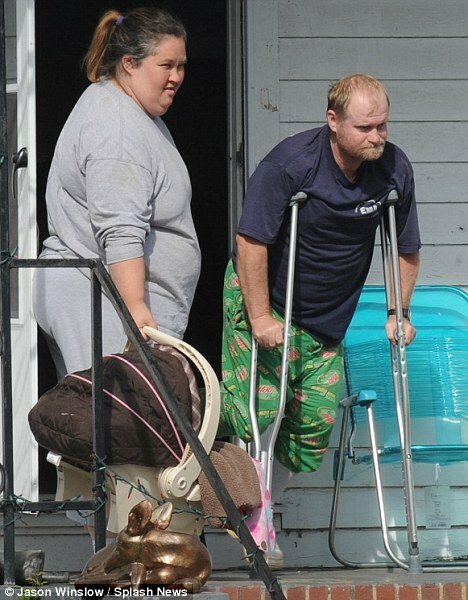 Honey Boo Boo’s father has undergone a surgical procedure to remove infected tissues from the affected area, according to TMZ.com. There had been claims Sugar Bear would need to have his leg amputated following the mud bogging accident, but the website claims this was never the case. Sugar Bear was riding off-road when he suffered the injury and was seen on crutches before they would became so infected it needed medical attention. Honey Boo Boo, her mother Mama June and the rest of the family visited Sugar Bear in hospital and even took him some peanut butter crackers, according to TMZ.